I'm looking for scale armours in 17th century (more or less during the 30 years war) In the second half of 16th century they used still jacks or even brigantines. And in a short time they disappear. Or i missed something? By early 17th they were considered pretty useless and pointless. Even late 16th cent Elizabeth's army were discarding theirs as being obsolete. Mainly due to their ineffectiveness against shot. During the 16th century they seem to have been increasingly considered obsolete. At times they get mentioned as a lightweight alternative armor for skirmishers or when no better armor is available, but by the end of the century military writers start specifically recommending that arquebusiers wear no armor except a helmet to preserve stamina and agility. 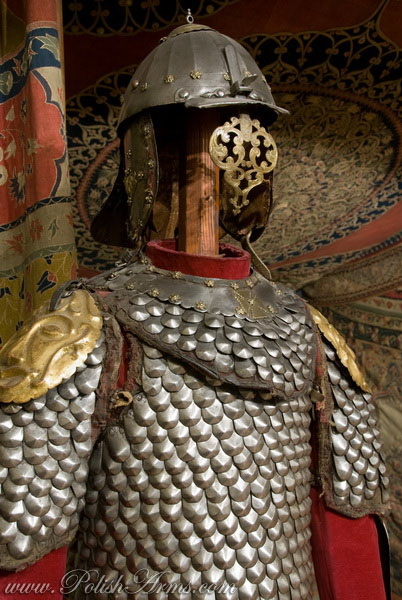 William Garrard felt that mail armor in particular had become more dangerous than wearing no armor at all since bullets tended to drive metal links into the wound. There is one interesting use that shows up in the 17th century. After the 1622 jamestown massacre the crown decided to take a large quantity of obsolete arms and armor from the tower of London and ship them over to the americas where they might still be useful against the weapons of the natives. This shipment included hundreds of mail jacks and coats of plate which continued to be used in jamestown for years afterwords. Polish karacenas in the "Sarmatian style"?